We have come up with a few popular recommendations that will help you choose the best indoor drinking fountain for your needs. The Elkay FD70010 Floor Standing Water Fountain seems like the perfect place to start. 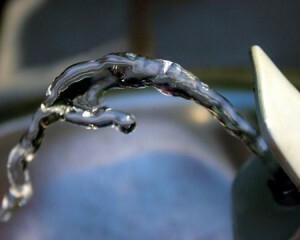 Elkay water fountains are of the highest quality products on the market as they are an extremely reputable manufacturer. Elkay’s FD standard floor standing drinking fountain line features a space-saving design, ideal for placement in smaller locations. The unit is available in either an impact resistant Sandalwood Vinyl Clad Cabinet or Stainless Steel, either option offering a fantastic, practical finish. It is also comes with an Elkay flexi-guard safety bubbler valve to prevent accidental mouth injuries. The FD70010 adopts non-pressurised tank cooling system. The water tank is situated beneath the bubbler valve and is only subject to line pressure when the valve button is pressed. This allows for a cooling capacity of 37 Litres per hour. Our second most popular drinking fountain is the Cosmetal River 55 Floor Standing Water Fountain. This unit is one of the UK’s bestselling water fountains. Unlike the Elkay model this dispenser is supplied complete with both a bubbler and glass filler. It is also available in either coated steel or stainless steel making it ideal for all environments. This unit also operates with a different chilling system called direct chill, whereby the water is cooled while being transferred from the mains feed to tap. This considerably reduces the chances of contamination and makes this unit perfect for use in school, gyms and hospitals. This simple system also allows for a much greater cooling capacity of 55 Litres per hour, with a water temperature of between 8°C and 12°C. For further information regarding the drinking water fountains on sale, please do not hesitate to contact our sales team on 0330 123 3309.